T.J. and his little sister Angela love their mother, but life with her is dangerous. Jobs come and go. Men come and go. Money and food come and go. Their mother says she loves them, and T.J. clings to that through all the chaos and turmoil that is life for Angela and him. There were some happy times. T.J. remembers going to live with the grandparents he had never met. Times there were good until grandma got angry with his mother and they had to leave. Life when Ray was around was really good. Ray acted like a real dad. He spent time with T.J., and Ray was the one who taught little Angela to make the paper birds. But, one day Ray's parents came saying something about paying for college not for him to shack up with some woman. They even held up a picture of some girl they said was engaged to Ray. That was the end of Ray. Most of what T.J. remembers is bad. He remembers when their mother left them alone and when the men she brought home were mean. He remembers missing school because he was "sick" and rarely getting to play outside or having friends like other kids. Through it all though, their mother supposedly loved them. PROFILE is a scientific computer program that can predict future behavior. Daphne's mother is the creator of this unique program, but Daphne never realized how it might come to touch her life. Daphne wasn't sure if her mother resigned from Utopia Laboratories or if she was fired. All she knew was they were moving to Quiet, Oklahoma, and she would be attending Quiet High. Change is good, but fitting in in Quiet proves a bit more difficult than Daphne expected. Daphne soon discovered that their move to Quiet did not mean leaving behind the controversial computer program. The citizens of Quiet had approved the testing of most of the high school students, and they were impatiently awaiting the results. During Daphne's first weeks in Quiet, a student entered the school with a gun. She ended up barricaded in a supply closet in the classroom where the shooter ended his attack by shooting himself. Fortunately, he was the only victim, but his actions had convinced the town that finding which students might be a future threat was information they truly needed. Anyone "predicted" by the computer program was supposed to be genetically prone to criminal or antisocial behavior. Before the list of those predicted was released, Daphne could already "predict" how people in this town would react. She could see the idea of good kids and bad kids was already dividing the town. Here's the first giveaway contest of the year. Enter now to win. A winner will be chosen January 15th. Ty White and his brother Thane have survived a lot. Their parents were killed in a car accident, and then the two became unintentionally involved in a mob gambling scheme. Both Ty and Thane are glad all of that is in the past. Or is it? Ty is finally getting settled back in his school routine, and Thane is wowing fans in his NFL career. Out of nowhere bad luck strikes again. Thane suffers a devastating knee injury followed by a life-threatening infection. While he is in the ICU fighting for his life, Ty is once again face-to-face with members of the mob. An upcoming trial involving their uncle who is testifying against the mob has the FBI worried that Ty will be a target. Throughout all the excitement, Ty is also working to earn a spot on a team headed to a 7 on 7 tournament scheduled to play as an opener for the upcoming Super Bowl. If he can make the team, it will mean a chance to spend some quality time with Thane and show everyone that he is just as talented as his brother. An added complication to the story is the fact that if Ty's team makes the cut for the Super Bowl play-off, he will possibly be facing the team with the famous Troy White, the football genius. Ty wonders if his team has what it will take to beat a team with a player who can supposedly predict exactly which plays the opposing team plans to run. Author Tim Green continues his Football Genius series in DEEP ZONE. There is plenty of his signature football action and a lot more including desperate mobsters, man-eating alligators, and Burmese pythons. Green's young fans won't be disappointed. ﻿Thanks to a generous neighbor, I have some new books to add to my classroom shelf. LOVE ME, LOVE MY BROCCOLI by Julie Anne Peters was part of the donation. I've read most of Peters' more recent books but hadn't read this one until now. Chloe is a teen with a mission. She is an animal rights activist. She volunteers her time at the local Humane Society, promotes animal rights through a club she organized at school, and organizes and participates in protests aimed at the prevention of animal cruelty. Chloe's recent efforts have been complicated by a new relationship. Her first ever boyfriend, Brett, isn't exactly supportive of her causes. He isn't in favor of her involvement in protests saying he fears for her safety. He is also critical of her vegetarian lifestyle when it interferes with his plans. Chloe finds herself having to decide between love and what she believes is her true mission in life. Chloe is an extremely likable idealist. Her character is sure to appeal to many middle grade readers looking for a young person willing to stand up for her values despite the odds. I'm always interested in the latest by Andrew Clements. He's an easy sell to the fifth graders who come to my room looking for books. TROUBLEMAKER is one of my favorites. Clay Hensley prides himself on being a troublemaker extraordinaire. According the principal's secretary, Clay does have quite an impressive file. Most of his pranks are innocent fun, but he is about to have his eyes opened to another side of the situation. Mitchell, Clay's older brother, has just returned home after a month in jail. While Mitch was gone, Clay listened to his father berate the judge, his brother's lawyer, and the police about how unfair Mitch was treated, but when Mitch gets home, he takes another stand. As Clay's older brother, he steps up to impress on Clay the fact that being a troublemaker will get him nowhere. After he hears about the insulting picture Clay drew of the principal, Mitch makes Clay promise to turn over a new leaf and stay focused on not getting in trouble. The change is not easy for Clay. He gets a lot of ribbing from his friends, and he's surprised that the principal and teachers don't take his efforts seriously. However, through the experience Clay comes to realize the effect his poor behavior has on his parents and the worry he and his brother have caused them through the years. Cam Cooper has grown up surrounded by Disney World. Having parents who work as entertainers at one of the world's most famous amusement parks, mean that Cam and her sister Perry live quite an amazing life. It's a life most kids would envy, but Cam simply takes it in stride. Unfortunately, Cam's world came crashing down when her father died. Memories of their close relationship have helped her deal with another unfortunate obstacle. Her life has been filled with hospitals and doctor visits. For years she has been battling cancer, and she knows that she won't see her eighteenth birthday. Doctors have pretty much said they have done all they can, but Cam's mother is not satisfied. There may not be any more drug trials available for Cam, but her mother has found a new possibility - a place called Promise, Maine. According to Cam's mom, miracles happen in Promise every day. If they follow the quirky directions and are able to make it to the tiny ocean side town, Cam may have a chance of being cured. Cam isn't convinced, but she agrees to give it a try to humor her mother and her little sister. Right from the start, Promise proves to be an odd experience. The motel they are never really able to find is supposedly being renovated, but that doesn't prove to a problem when a handsome, young man offers them his grandfather's vacant house. There's the magic of the sunset that appears every evening in the east against a backdrop complete with a lighthouse and leaping Orca whales. There are hundreds of flamingos feeding in a tide pool on shrimp that are native to Florida but definitely not this stretch of Maine beach. There's even a rare July snowfall that turns the summer setting into a winter wonderland. Maybe miracles do happen in Promise, Maine. Jamee is struggling with a number of problems. Her grandmother recently died, her mother is about to have a baby, her math teacher says she is about to fail the class, and everyone expects her to live up to the standards of her perfect older sister Darcy. In addition to all these issues, Jamee is determined to tryout for and earn a spot on the Bluford cheerleading squad. Several of Jamee's friends are hoping to become cheerleaders, too, but the competition is tough. There are a few girls who act like the bosses of the cheerleaders. The coach seems nice enough, and the tryouts put everyone on a level playing field, but a girl named Vanessa leads several other girls in bullying the newcomers. After her mother died, Delaney found herself moving from New Jersey across the country to California. She hoped that moving in with her father would be a short term solution. After all, he had never really been a part of her life except for a handful of short half hour visits when she was very young. Delaney's father is a world famous for his motivational books. Millions of people have improved their lives thanks to his inspirational words. The very first night Delaney spends in her new home, he rushes off to "help" a client. One would think a daughter who just lost her mother would take precedence over some slightly panicky client. Several days later when the client calls again, Delaney insists that her father take her along. She promises to wait in the car but immediately breaks that promise. What she sees through the window of the client's house changes her life forever. Delaney discovers that her father is a fairy godmother. Inherited genetic traits give him magical power to identify people's deepest wishes, and he also has the power to make the wishes come true. When Delaney finds out she too might have the f.g. gene, she is determined to learn about and control this strange power. It's not an easy task, but she discovers it will most likely draw her closer to her father which might not be as bad as she had once imagined. No way am I going to see the movie recently made based on this book - I'll definitely cry. I bought the paperback thinking I could read it tissue-free. Nope. Set during World War I, Joey, the farm horse, tells his story. He was acquired by a farmer and treated poorly until the farmer's son, Albert, took over his care. The two became inseparable. Albert was furious when his father sold Joey to be used by the military, and he swore to join the war effort as soon as he could and find his loyal friend. Joey tells of working as a war horse pulling ambulance wagons and wagons loaded with shells and carrying soldiers into battle as part of the cavalry. The first officer treated him kindly, but this wasn't always the case. Joey and a companion horse named Topthorn worked tirelessly for both the English and the Germans depending on where the winds of war took them. Shelby doesn't know who to trust. The world of comfort and security she has always known is crumbling around her. Yes, she lives in a super cool house in a top notch neighborhood. Yes, her father is a well-known photographer who drives a Ferrari, but suddenly life is changing. Shelby and her father have always been close. She loved zooming around with him and found him much easier to confide in than her more distant mother. Over the past several years, she had begun to notice that her parents were growing apart. They now slept in separate bedrooms, but they had a ready excuse that was supposed to explain the change. Her father had also decided his photography business would perform better if he moved it to a different location that required him to be gone for days and sometimes even weeks. Despite these subtle changes, Shelby didn't suspect anything. She was busy finishing high school and making plans for college. 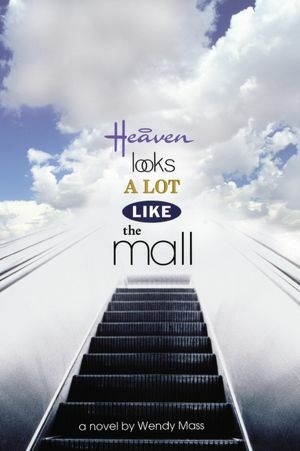 However, when the news reported three young girls missing and evidence pointed to the possible involvement of her someone in her father's business, Shelby found herself doubting everything she had always known. As more news surfaced, Shelby discovered that her father seemed to be living a double life - that of a devoted father and confidant, and that of a man interested in luring young women to his business for more than just head shots for their would-be modeling careers. How could she have been so trusting and yet so blind? How could her mother not have noticed some telltale sign that her husband was fooling around? And now, who can Shelby trust to help her figure out the truth? KILL YOU LAST is the third book in Todd Strasser's "thrill"-ogy. Each book highlights a mystery that will keep readers guessing until the very end. If KILL YOU LAST sounds interesting, don't miss WISH YOU WERE DEAD and BLOOD ON MY HANDS. BELLY UP by Stuart Gibbs is fabulously fun! It is packed with action, mystery, suspense, and lots of laughs. This one will not be gathering any dust on the shelf. Twelve year old Teddy Fitzroy is not your average pre-teen. He has lived with his parents in the wilds of Africa. His everyday life has been like a continuous African safari. Now he's back in the United States, but his life is still far from average. When war broke out in the Congo, Teddy's parents decided for the sake of their son they needed to seek jobs in a safer environment. They both landed jobs at an innovative theme park in Texas known as FunJungle. Created by billionaire J.J. McCracken, FunJungle is a zoo/safari experience combined with a Disneyland type theme park. People from across the country are flocking to this new vacation destination. However, the success of the park is threatened when its mascot and main attraction, Henry the Hippo, is found dead. Teddy can't believe it when he sees the hippo partially submerged with its legs sticking straight up toward the sky. After the initial shock of seeing Henry dead, Teddy begins to wonder exactly what happened. Since FunJungle is Teddy's home, he knows his way around and manages to sneak in to observe the autopsy conducted by the park's resident vet. The procedure reveals that the hippo was murdered, and Teddy sets about trying to solve the case. What follows is a non-stop adventure. Teddy tries to enlist the help of his mother and several other park employees, but his ideas are dismissed as just those of a kid. Determined to get to the bottom of Henry death, Teddy gets involved with J.J. McCracken's thirteen year old daughter, and together they discover some incriminating evidence. Someone must think Teddy is getting too close because he suddenly finds himself the victim of several potentially deadly attacks. The lives of two people are about to change. Amber has chosen to spend this last day at her favorite spot - the beach. She meets Cade who has chosen the beach for his day as well. Both their family situations are about to change forever. They feel the changes are out of their control, and both fear the potential effects on their relationships with parents and siblings. Amber's fears involve opening herself to strangers about to become part of her family. Cade's situation fills him with guilt as the change he faces causes him to fear for his very life. As Amber and Cade go through the day, they try to focus on the moment and make the day perfect. Spending the day together, they make a connection that could very well turn into more than just a casual acquaintance. After an interesting discussion with my 8th graders about successful opening lines, this one was judged to be pretty good. I lifted my shirt for the neighborhood boys." We'll be back with more later. STIR IT UP by Ramin Ganeshram combines a great story about an ambitious young teen with a bunch of mouth-watering recipes for traditional West Indian dishes. Anjali has grown up working in her family's restaurant. She learned all about cooking from her mother, father, and grandmother, but she possesses a true natural talent for combining ingredients that leaves even those veterans around her in awe. What Anjali wants more than anything in the world is to have her own cooking show on Food Network TV. When she hears about a contest for Super Chef Kids, she is determined to enter. Unfortunately, the contest takes place the same day as the entry exam for the special high school her father wants her to attend. He refuses to listen to Anjali's arguments that winning the cooking contest will offer her a better chance for a successful future, but she decides not to let his objections stand in her way. Darcy misses her father, but he's been gone for five years now and she has moved on. She gets good grades in school, helps her mother around the house, and makes sure she comes home right after school to take care of her ailing grandmother so her mother can get to work. Lately, Darcy has been losing patience with her little sister. Jamee is only in the eighth grade, but she acts like she's older than Darcy. When Darcy hears rumors that Jamee is hanging around with a no-good character from Bluford High, she confronts her. Jamee says it's none of Darcy's business who she hangs out with, and as Jamee's attitude toward family and friends worsens, Darcy becomes even more concerned. Another concern Darcy faces is the sudden appearance of a strange man in a Toyota. She sees him parked outside the school and right in front of their apartment building. A call to the police one evening when Darcy's mother is at work reveals that the man is actually their father trying to find a way back into their lives. Things really heat up when Jamee goes missing. Mason's mother saved his life. Her car accident got him called out of school early,and being at the hospital when the explosions destroyed his school, saved his life. Unfortunately, his mother died from her injuries, and all his friends died in the blasts. Aries watched as the man on the bus began rocking back and forth. She leaned over to whisper to her best friend Sara who agreed the man must be crazy. The moments that followed were a nightmare Aries would never forget. The ground beneath the bus exploded sending everyone toppling. By the time the bus came to rest on its side, Aries was one of the few left alive. After a frantic search with help from a stranger, Aries found Sara - dead. Mason and Aries are among the lucky few who survive what turns out to be a worldwide disaster. Earthquakes and the resulting fires, plus bomb explosions cause widespread devastation. Those left behind have the challenge of surviving without power, cell phone service, or any means other communication. Complicating matters is that some of the survivors are infected by some disease or possessed by some evil and are now killing machines to be avoided at all costs. Author Jeff Kinney continues to entertain with his latest WIMPY KID book called CABIN FEVER. Greg knows Christmas is just around the corner, and he also knows he needs to clean up his act or Santa won't be happy with him this year. "Santa's Scout" a little elfish doll his mother says keeps an eye on kids for Santa, seems to be following him around. It could be just a trick played by his older brother Rodrick, but it's still creeping him out. As usual things go wrong for Greg at home and at school. No matter what he tries to do to make himself look good for Santa, it seems to backfire. His dad isn't impressed when the kid Greg claims is bullying him turns out to be a kindergartner. He also isn't very popular after he uses a hose and sprinkler to clear the snow from the neighbor's driveway. He and Rowley also strike out when they try to start their own fund-raising carnival in competition with the one put on by the school. Imagine my surprise when I discovered the local Dollar General store has some pretty cool YA books for just $3!!! When I saw this one, I snatched it up for a giveaway contest. 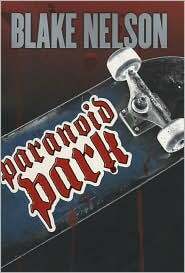 All you have to do to win this copy of PARANOID PARK by Blake Nelson is fill out the form below. Contest deadline is December 15 at midnight. Father/son relationships are tricky, and Mike's relationship with his father is no exception. The Professor is a genius with high hopes for his son. Disappointed in Mike's grades, his father wants to find a way to improve Mike's math skills so Mike won't "end up on the street someday." Mike is more realistic about his math abilities. He knows no matter what he does, math is never going to be his strength. Since his mother's death, Mike and his father have been on their own. Actually, Mike has been holding things together for the two of them. His father suffers from a condition that doesn't allow him to learn and recognize faces of even those closest to him so Mike is lucky that his father even remembers his name. As far as the day-to-day running of their household, his father might be a genius and a college professor, but if paying the bills and grocery shopping was left to him, they wouldn't have a roof over their heads or a thing to eat. When Mike's father announces that he is going to be lecturing at a university in Romania for the summer, Mike begins preparing himself for the trip. However, Mike is informed that he will be going to live with a great aunt and uncle in some remote Pennsylvania town. Mike isn't thrilled to be spending the summer with people he doesn't know, and he is also concerned about how his father is going to function in some foreign country without him. Another part of Mike's summer living arrangement involves working with his great uncle Poppy on an engineering project with something called an Artesian screw. According to his father, Mike will gain valuable mathematical and engineering skills. Once in Pennsylvania, Mike finds a huge mix-up that involves everything but an engineering project. 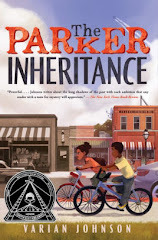 Learning that his father has cancer is bad enough, but when Hakeem is told that the family is leaving California and moving to Detroit, he can't believe it. The financial hardship of dealing with cancer treatments means that Hakeem's parents can't afford their home anymore so the decision has been made to relocate to Michigan where they can live with Hakeem's uncle until they can get back on their feet. Their possessions are packed and Hakeem, his parents, and his twin sisters are on the plane headed for Detroit almost before Hakeem has a chance to say goodbye to his friends at Bluford High. Even though he knows his father can't help what happened, Hakeem is beyond angry about the changes he faces. He'll be starting at a strange, new school in the fall, and in the meantime, he'll be sharing a room with a cousin he hasn't seen since grade school. Although, his aunt and uncle make them feel welcome, Savon is moody and barely civil. It is obvious that his cousin is not happy with the arrangements and doesn't waste any time trying to renew their childhood friendship. Hakeem had hoped to get to know him again and maybe meet some of his cousin's friends, but instead he finds himself being drafted to work in his uncle's furniture store. Afraid to disappoint his own father, Hakeem goes to work every day and does whatever his uncle asks of him. At night he watches as his cousin sneaks out after dark, probably up to no good. Added pressure is heaped on Hakeem when his uncle asks him to talk with Savon and act as a role-model in an effort to straighten him out. As information of robberies in the neighbor around the furniture store surfaces, Hakeem is increasingly concerned that his cousin might have something to do with the crimes. How can he be expected to keep the peace between his uncle and cousin and also deal with his own father's illness? BLOOD IS THICKER is another book from the Bluford High series. The focus is on changing family structures and the conflicting dreams and goals of fathers and sons. 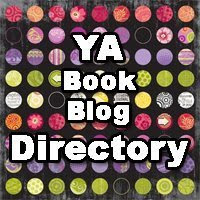 Once again the fast pace and less than 200 page length will attract many teen readers who might not otherwise be readers. Lutie Painter and Doria Bell come from two different worlds, but their lives are connected by music. Lutie's great-great-grandmother worked every day doing laundry for white people. While she worked, she sang. Her songs became known as The Laundry List, and she passed them down to Lutie. Lutie loves the songs, and the people of Chalk love to listen to her sing them. To Doria music is playing the church organ. She loves the act of playing and the response of an appreciative audience. Hours of practice make her indispensable to many area churches. Those who want the Laundry List songs think Doria may be to one to convince Lutie to share her knowledge. If life was just about music, both girls would be happy, but living in or near Chalk puts them in danger. The neighborhood might be friendly and safe during the day, but by night the safety of trusting girls is in question. Author Caroline B. Cooney reveals the deep heritage of Southern traditions and combines it with the love of family and music. Readers will quickly connect to her richly developed characters and carefully crafted prose. The residents of West End, Montana, live in the midst of Yellowstone National Park. They are surrounded by tourists every summer and live a solitary existence all winter. Some of the residents make their living as cattle ranchers, and a federal program reintroducing wolves into the park system has them fighting mad. KJ Carson lives with her father and works with him in his sporting goods and supply store and sometimes helps in the fishing/hunting guide business he also runs. Her fascination with the wolves is not really shared by her father considering that hunting is a major source of their family income. Watching the wolves and following their movements tracked on several internet sites had always been enough for KJ, but her involvement changes when she begins writing for the school newspaper. The journalism teacher even makes KJ the editor and encourages her interests in the wolves. When an environmental scientist and her teenage son arrive in West End to study the wolves, KJ learns even more about the mysterious animals. Their arrival creates a bit of a distraction though when KJ falls for the scientist's son Virgil. As the friction between the ranchers and the wolf supporters increases, KJ isn't sure whether her budding relationship with Virgil will be helped or destroyed. 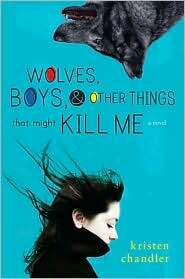 WOLVES, BOYS, & OTHER THINGS THAT MIGHT KILL ME is the debut work of author Kristen Chandler. It features small town living, a clash between nature and perceived government interference, and a touch of romance. Chandler's strong female character reminds me of veteran YA authors like Joan Bauer and Ellen Wittlinger.